Mitsusuke was the 18th head of the Tosa school. 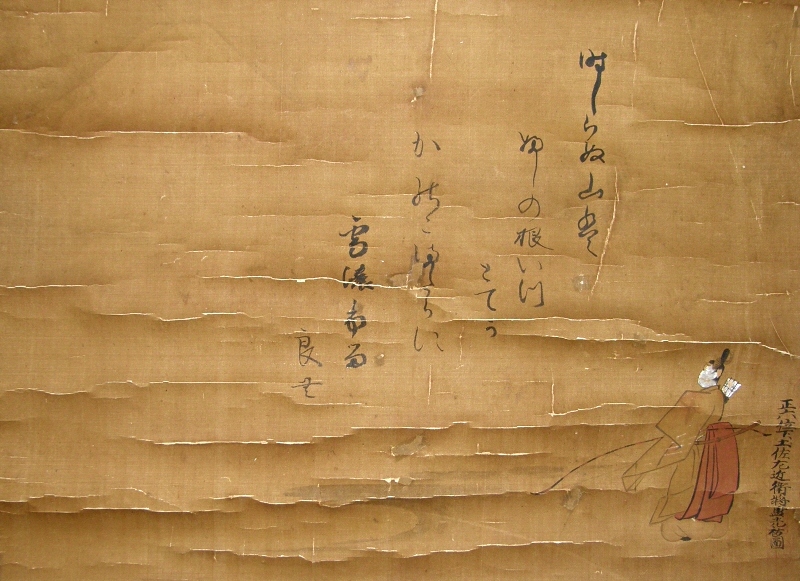 Painters belonged to the Tosa were good at painting in the Yamato-e style. 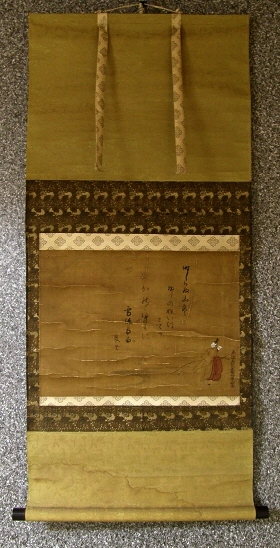 Successive heads of the Tosa served the Emperors as Edokoro-Azukari (=Official court painter). 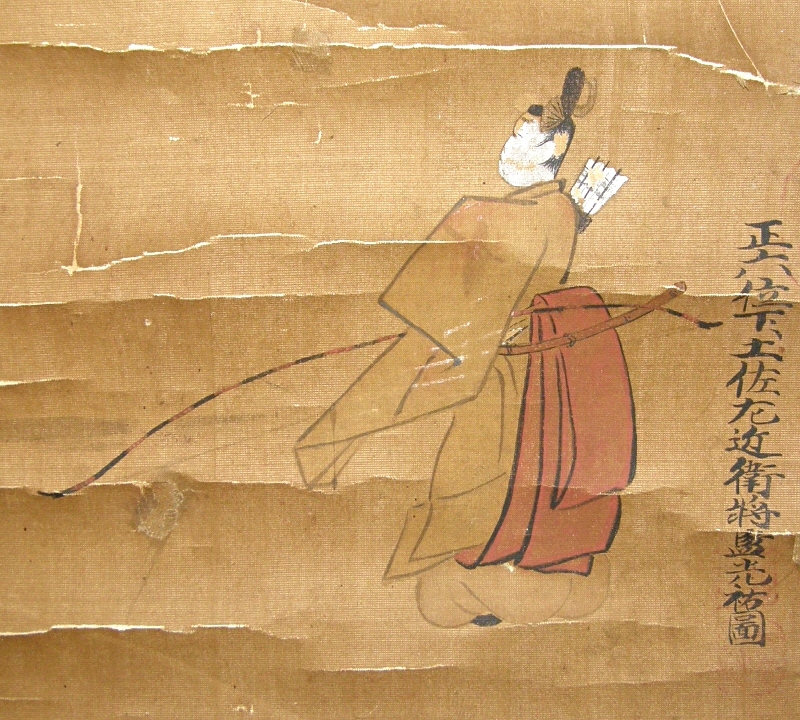 Mitsusuke was born in 1675 as a son of Tosa Mitsunari. In 1696, he succeeded to his father's occupation and became an official court painter. In 1709, he drawn paintings of room partitions in the royal palace and in the Sento palace with Kano Tsunenobu. He died in 1710 at the age of 36. Description It seems that this scroll has been re-mounted. Though, there are stains on the mounting. The drawing part is foxed overall as it was drawn years ago. Spots, Stains, folds and breaches on the drawing part are recognized. 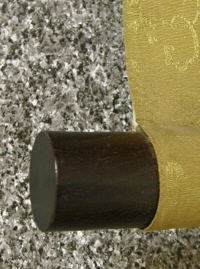 As a whole, the condition of this scroll is not good. Although, an ancient Samurai enjoying viewing Mt. Fuji is drawn artistically. 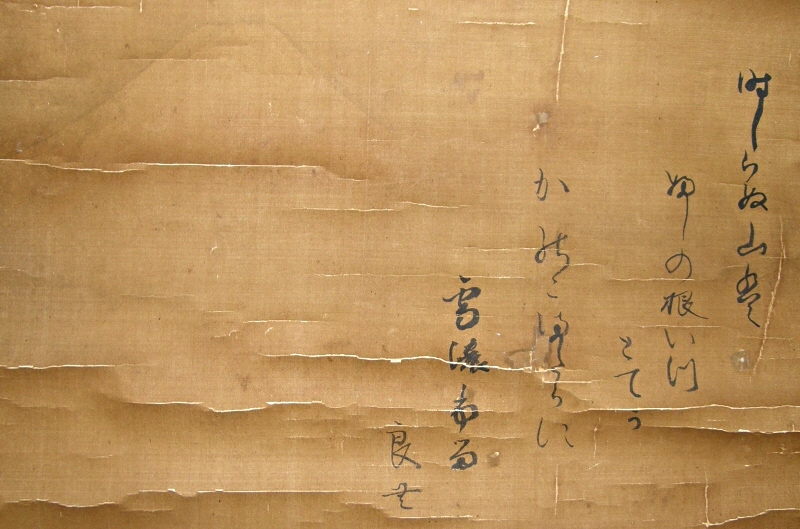 A Japanese Waka poem regarding Mt. Fuji is also written.